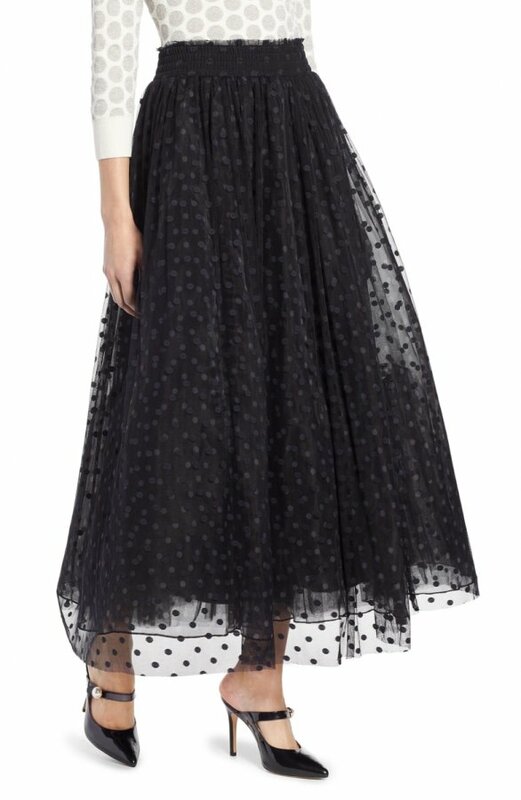 Pearly buttons—a signature design element seen throughout Blair Eadie's debut capsule collection—add extra style points to a modern dress with a flared skirt. 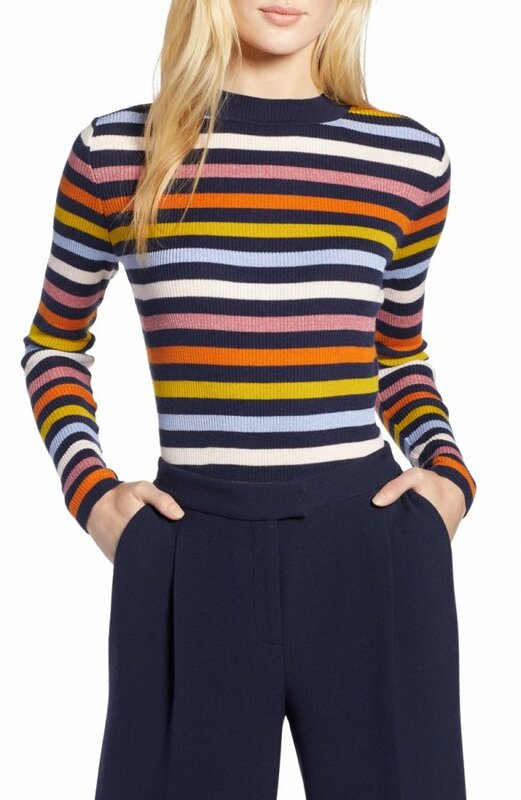 Princess seaming, elbow-length sleeves and a dense ponte knit help provide a flattering, sleek silhouette, while a mock neck and all-important pockets complete the look with on-trend verve. This concealed-placket blouse is a great way to add a playful pop of pattern to your ensemble and is designed to perk up anything you pair it with. Contrast piping and a Peter Pan collar enhance the feminine refinement of this silky piece from blogger and fashion influencer Blair Eadie's debut fall-capsule collection. 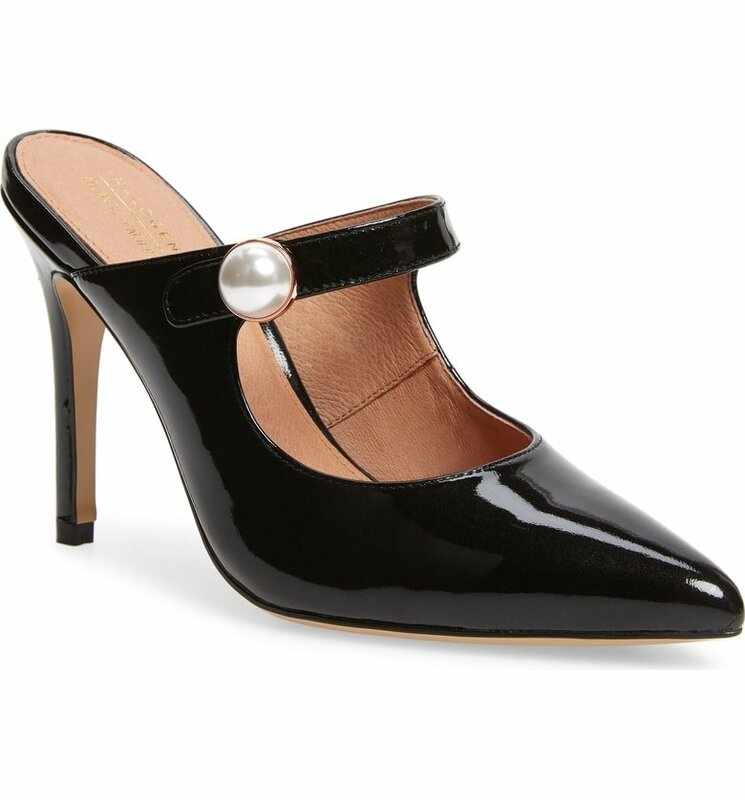 Liquid-shine patent leather amplifies the scene-stealing glamour of an enviable stiletto sandal defined by slim and curvaceous tubular straps. 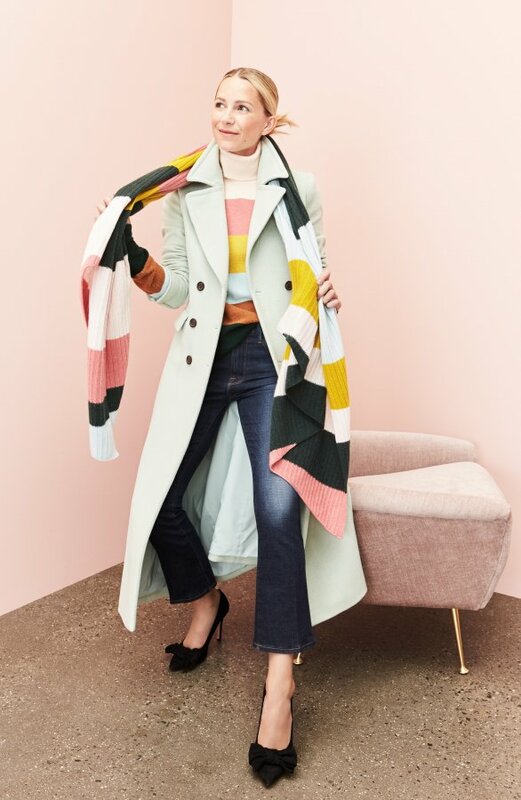 This night-out essential from blogger and fashion influencer Blair Eadie's debut capsule collection is fiercely feminine and adds instant sophisticated edge to any look. 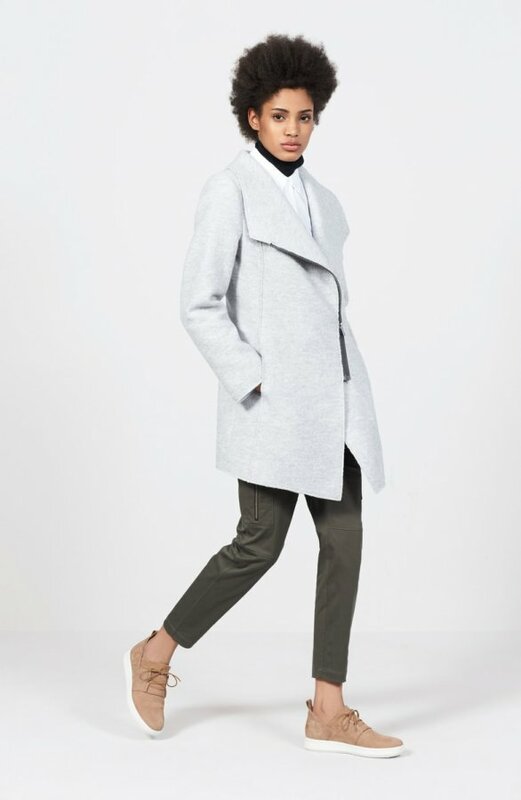 A moto-style zip front creates a clean, sleek look on a coat tailored from a cozy wool blend with lofty boiled texture. Exposed seams accentuate the fitted silhouette. 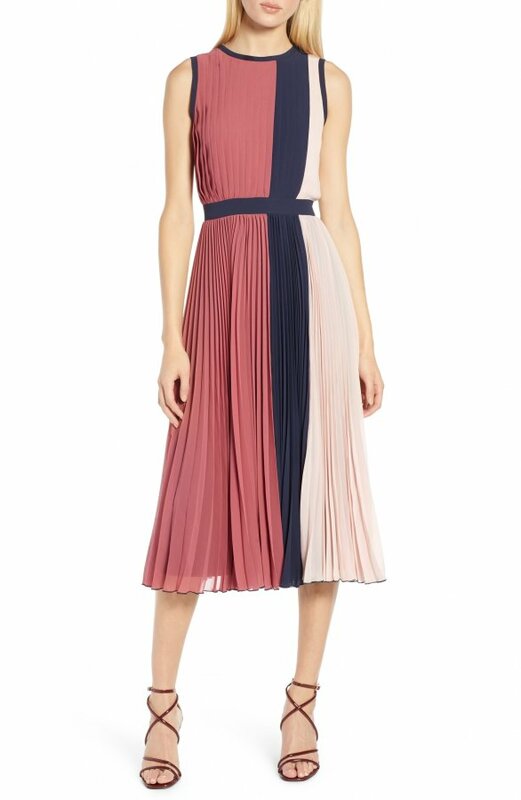 Free shipping and returns on Halogen® x Atlantic-Pacific Colorblock Pleated Midi Dress (Regular & Petite) at Nordstrom.com. 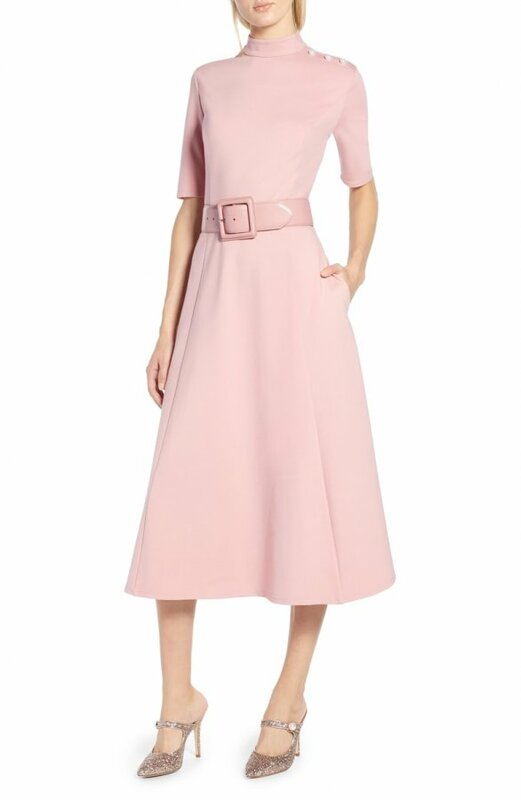 Crisp color blocking and head-to-toe pleating define the dynamic character of a Insta-worthy midi dress that offers stunning, swishy movement with every step. This feminine classic is part of blogger and fashion icon Blair Eadier's debut collection. 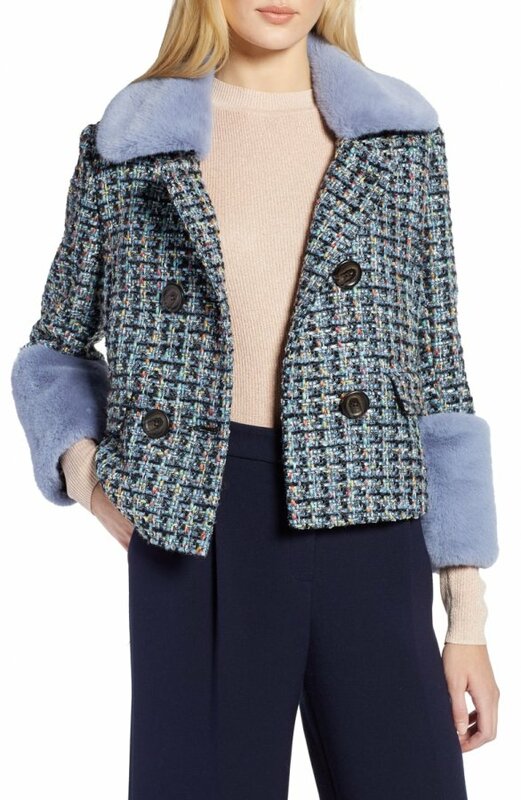 Maximalism at its finest—this slightly cropped jacket takes a fresh approach to texture by combining plush faux-fur accents with rainbow tweed. This gorgeous topper is part of blogger and fashion influencer Eadie's Blair debut collection.